How fun are these two ladies!!! I had fun coloring them with copics. I used some die cuts to frame this image. 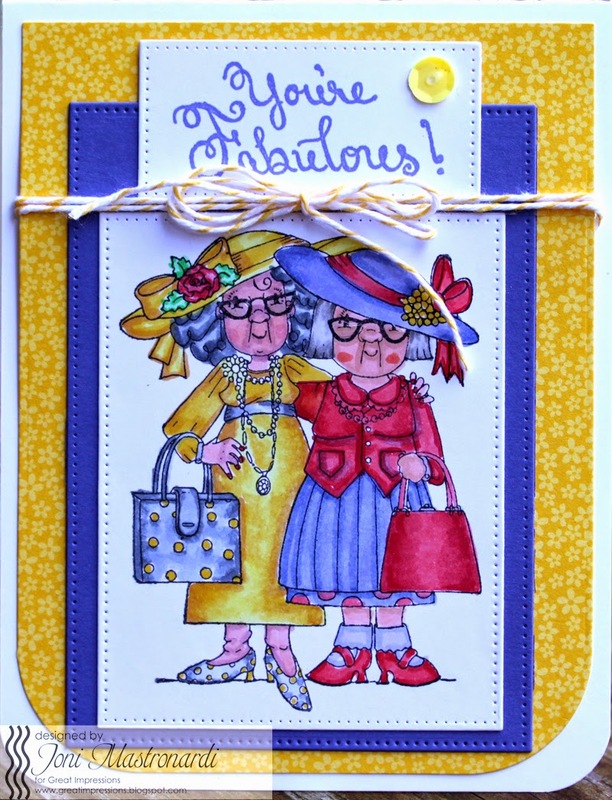 Check out all the fabulous new stamps from Great Impressions. Tee hee...this is so darling - love it! Thanks for sharing...another one on my wish list!